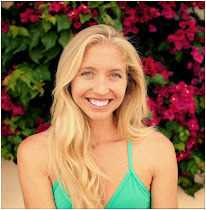 I first crossed paths with local yoga teacher Kim Bauman at our first Mermaid Yogis meet-up in La Jolla Shores in June 2014. Even in a crowd of 100+ yogis, something special radiated from her. Back then, I couldn't quite put my finger on it. But, over the past few months, we've grown closer, and learning her story, I now understand that the light that shines brightly inside of her, the light that fuels her passion of giving back to her community, is actually connected to a dark past not visible on the surface. 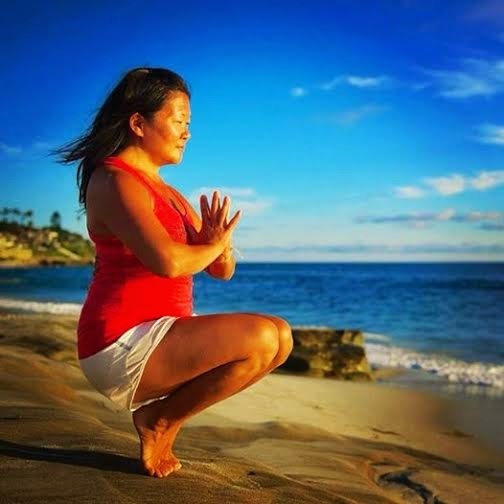 From growing up in an orphanage in Korea to coordinating what could be San Diego's biggest yoga/service event this upcoming Saturday, Kim sure has come a long way! I'm honored and proud to call her a friend. 1) Where did you grow up? What led you to call San Diego "home"? I grew up in Wyoming and South Dakota. Yes - I may be the only Asian that you'll meet from there. Usually I'm everybody's first! Haha :) I moved to San Diego from Los Angeles about 14 years ago, and I hated it (at first) because it wasn't L.A. The only reason I moved to SD was because I came home from backpacking in Europe, was confused about my life and broke beyond measure. I had dear friends who are like my parents, they invited me to live with them to support me getting grounded. Now I can't imagine not living in San Diego, my heart is definitely here. 2) What did you do in your past life? What was your life and career like pre-yoga? In my past life I was disconnected, I didn't know of anything outside my "Kim bubble", and to me a rough day was not having the outfit I wanted to go out in. I've grown leaps and bounds as a person, it took me traveling to an under-served country to “get” life outside of me. When I lived in LA, I used to work for a high-profile movie producer so I was swept away by the LA scene for sure, then when I moved to San Diego I was culture-shocked by the slower pace. 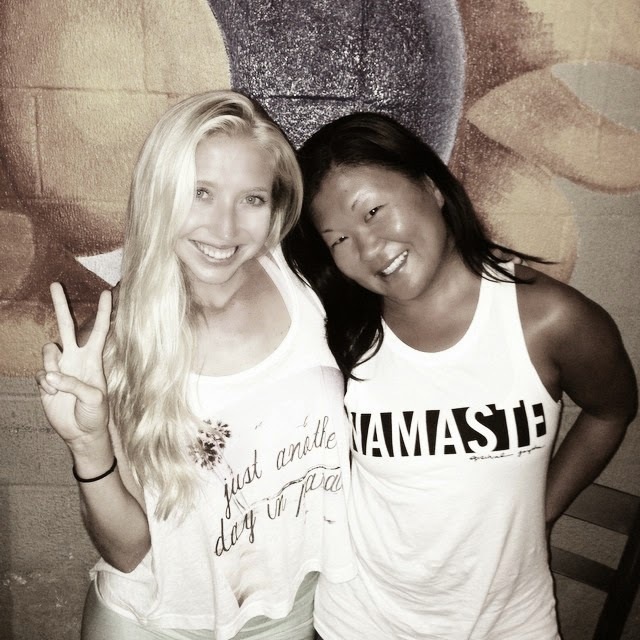 I found yoga when I moved to San Diego and it saved me, yoga changed my life. 3) What is "The One Love Movement" all about? Why did you create it? The One Love Movement is all about inspiring others to want to serve their heart in a way that fits them. We all have our own cause and our own thing that tugs at our heart. For me it's under-privileged kids, for you it might be saving the whales, and no cause is better than the other, the intention is that we inspire a community that gives back through action. I created One Love back in 2011 when I did the “Off the Mat Into the World” Global SEVA Challenge. Off the Mat is an organization founded by 3 influential yogis and their mission is to create leaders. 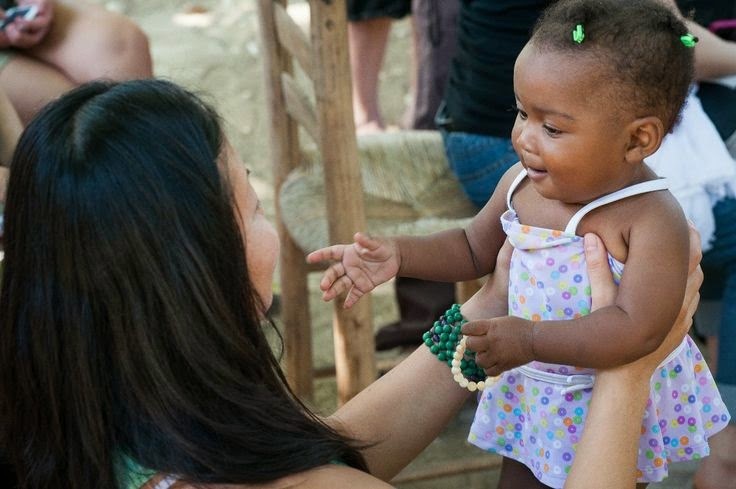 The first One Love event was in 2011, we raised $21,000 in 6 months, then I took the trip of my life to Haiti with Off the Mat. That was my first time being in an under-served community and seeing life outside of my bubble. My world was rocked and I was humbled. I was completely inspired by the kids we met who had grown up in orphanages. I hit a wall and realized that could have been me. I was once an orphan in Korea and I get to have the life I have from being adopted. That's when I knew that I wanted to touch as many kids as possible in this life. 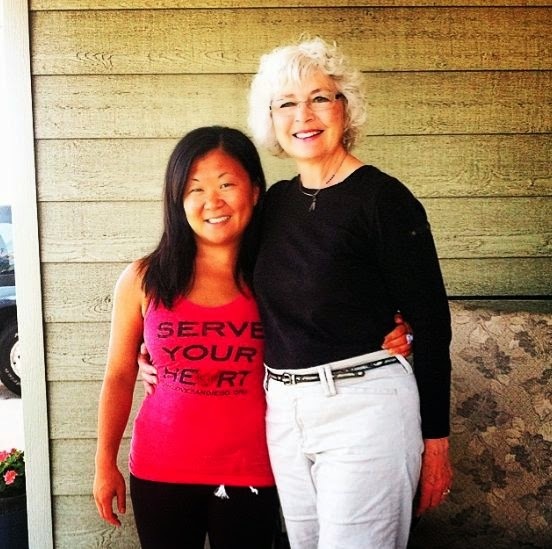 Kim's first time in an orphanage as an adult - realizing her purpose - to spread love and hope to desolate communities. 4) Who do you love taking yoga class from - online or in person? I love taking class from Taylor Harkness and I love following him. He is definitely my yoga crush. I love his spirit and he just makes me feel happy. My friends joke that I should be adopted a 2nd time by his family because my wish is to be his sister. Definitely someone I look up to who really is yoga -- off of his mat. Locally, my favorite teachers are Mandy Burstein ;), Sheri Colosimo, Beth O'Reilly, and Amy Opielowski. All such beautiful soul teachers! 5) What's the scariest thing you've done in the last 30 days? I used to be on the CorePower Yoga management team. I recently left that career to pursue my dream of growing and creating a movement through One Love. And now, I've never been happier! I feel inspired, alive, and so blessed. Magic is all around me, so much opportunity has fallen into my lap since creating space in life for my purpose. 6) What advice do you have for others wanting to follow their hearts and create an "outside-the-box" job for themselves? Don't be afraid to dream. Believe that you can have it all and you will. The moment you let go, you see more and you give more because YOU become alive. I live by these 2 quotes: "If we wait for the moment when everything, absolutely everything is ready, we shall never begin" - Ivan Turgenev and "You don't have to see the entire staircase to take the first step" - Martin Luther King, Jr.
7) Where do you envision yourself in 5 years time? It's September 2019 - what are you up to, Kim? I am married to a man and we are madly in love with each other. 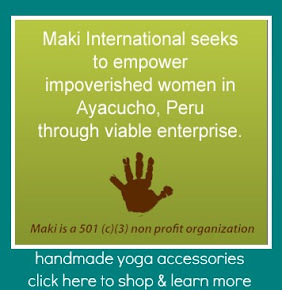 I am traveling the world teaching yoga and working in under-privileged communities. 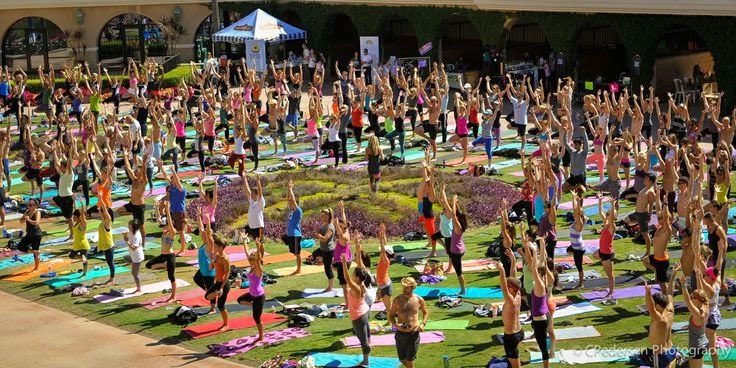 There is a One Love annual charity yoga event in all major cities and thousands of people crowd our events. In fact, we sell out months in advance. Oprah is a One Love ambassador. Collectively as ONE community, we raise $3 Million dollars each year to give back to organizations that take care of our under-privileged youth. We have steady and consistent sponsorship and our One Love clothing and product line is thriving, allowing The One Love Movement to be able to give out scholarships, to mentor leaders for change through our Serve Your Heart workshop, and our staff can fully commit to working for One Love because we can pay them salaries. 8) What can people expect from the big event on September 13? A lot of love and good vibes, and hearts touched. We have an amazing team of yoga teachers guiding everybody through a beautiful class that is intended to open hearts, minds, and inspire action towards change and giving back. Kids from the beneficiary organizations will be there. Beneficiaries are: San Diego Youth Services, an organization that has been around for 50 years and has helped hundreds of thousands of families and kids who are under-privileged and impacted by homelessness. We also support Outdoor Outreach, an organization that gets these under-served kids involved with outdoor activities, presenting opportunity to them that many of us only know as "a normal life". For more info on the ONE LOVE Charity Yoga event and to buy your ticket, click here.